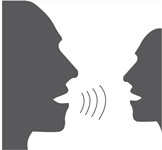 Home » General Health » Will Science Find a Cure for Stuttering? Will Science Find a Cure for Stuttering? For people who stutter, every day can be a challenge. A couple of years ago, a blockbuster Hollywood movie brought to light the tremendous difficulties that people who stutter face. In the movie The King’s Speech, King George the VI is forced to make frequent public speeches despite having a pronounced stutter. His shame and ultimate triumph over his impediment is both heart-wrenching and a celebration of the strength of the human spirit. While almost all of us will never have to worry about making speeches in front of large crowds with the media watching, for those with a stutter, a simple conversation with a friend can seem like a daunting performance. That’s why next week is National Stuttering Awareness Week—to help stutterers get the right treatment and to teach fluent people about the challenges that stutterers face. Why do people stutter? It’s not what most people commonly assume, according to The Stuttering Foundation, a nonprofit organization helping people who stutter. Stuttering is not a sign of mental or intellectual difficulties. It also doesn’t have anything to do with being shy and nervous. Some people believe that stuttering is caused by stress. While nervousness and stress can play a role, they’re not usually the root causes. Stuttering is a complex problem and has roots in physiological, neurological, psychological, and environmental factors. Genetics may also play a role, researchers have found. The current research on genetics and stuttering center are “linkage studies” where researchers are searching for similar genetic markers in families of stutterers. If these genetic markers are inherited, then researchers will look further at these inherited genes to determine how they code for stuttering. Scientists hope that these studies will determine how these genes look in fluent people versus people who stutter. While causes are still unknown, there are good treatment plans you can turn to. For adults, stuttering can be hard to seek treatment for, because sometimes these speech problems have been carried forward from childhood and never really addressed. Sadly, in the past, there was no standard way to treat stuttering and therapy was often out of reach for those without substantial financial savings. However, times have changed and it’s definitely never too late to get support. If you’re an adult and are considering getting some help for your speech problems, there are a number of things you can try. Speech therapy with a professional therapist is the first place to turn to for help. “Five Myths about Stuttering,” The Stuttering Foundation web site; www.stutteringhelp.org, last accessed May 1, 2013. “Information for Adults who Stammer,” The British Stammering Association web site, April 30, 2013; www.stammering.org, last accessed May 1, 2013. Drayna, D., “Genetic research: What will it tell us?” The Stuttering Foundation web site; http://www.stutteringhelp.org/genetic-research, last accessed May 8, 2013.